This posh spot is a celebrity favorite and brings a modern approach to the vibes of the roaring ‘20s. Lavish chandeliers hang overhead and olive-green furniture offer increased comfort as guests dine on elegant American fare by a crackling fireplace. What seems like a supper club soon elevates to a dance floor as women in sequins and feathers move to the sounds of a live jazz band. Dancing, drinking and eating converge in this luxury space and are tastefully crafted so you can repeat all three without ever skipping a beat. Great place as always !!!! Hands down my favorite place in weho! Overall experience was underwhelming and humiliating. First of all their instagram page does not portray an accurate perception of the place. 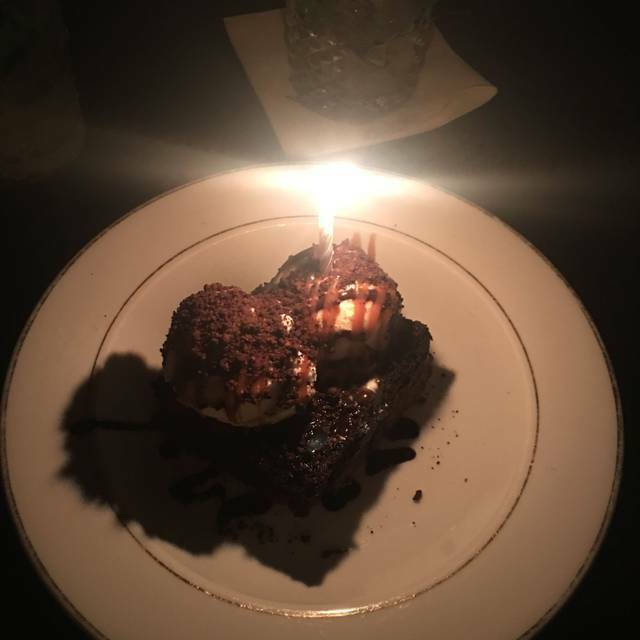 It was extremely dark and more roaring 20’s with a much older snooty clientele, the actual judgement and side eye myself and friends received as we walked to our seat was shocking. As i took a picture of my friend in a closed in boot (no one else in the shot) we were told to put our phones away which made us feel like we had done something inappropriate. Our order was wrong on two occasions. Mac & Cheese was less cheese and more overload of garlic. Food was ok but extremely overpriced for what was served. When the bill arrived 20% was added on but also was a list of suggested gratuity there was no mention of a standard 20% charge so we gave 10% as we felt that was all that was warranted based on our experience. We left the restaurant to wait for our uber outside and as we waited the waitress raced outside to tell us we left our bill short extremely humiliating! We explained that the bill listed suggested gratuity she said yes but that their policy was 20% and we had to pay it. 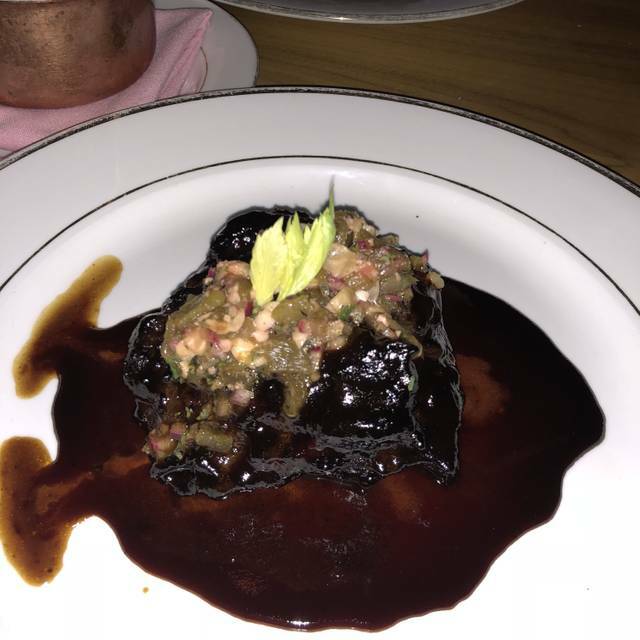 Myself and friends went to Craig’s on a previous night where the clientele was of A list caliber, we were made to feel so welcome, the food was above and beyond Delilah’s and at half the price. Delilah’s is extremely pretentious and would not go back and would suggest people avoid and spend their money else where. Food was amazing. Ambience was fun. Service incredible/. The decor is really nice and they have live entertainment, which are the positives. For the negatives, it takes a long time for your food to be prepared. And they charge your card an additional 20% of your bill, although you did not authorize it. When I called the restaurant to dispute, they let me know that it’s their policy and will reverse the charge at a later date. This policy should be disclosed either on their website or prior to submitted payment. It is not listed anywhere. Everything was exceptional from start to finish. Seated promptly, service was fantastic and the food was delicious. There were 3 of us, my daughter, her boyfriend and myself. We shared all plates, including crab cake, salad, tuna tartare, lobster gnocchi and carrot soufflé. We all had our personal favorites but I say do not miss the crab cake and the carrot soufflé, which was absolutely delicious. Tasted more like a sweet potato soufflé and had crunchy “Frosted Flakes” on top. It was amazing. 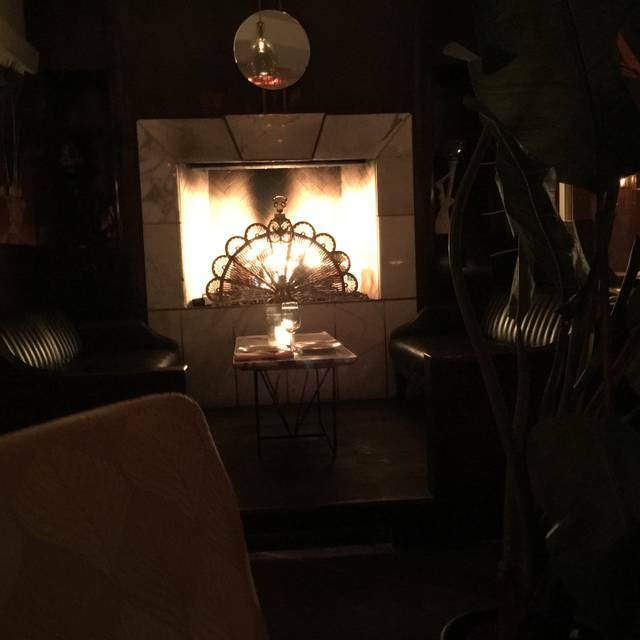 On a side note, Delilah’s is the perfect spot for a date or romantic occasion as the ambiance is dimly lit. I read very mixed reviews prior to visiting Delilah, so I wasn't sure what to expect. But the servers were very friendly and constantly checking up on us. The food was good, not amazing. This is the type of restaurant that you visit for the ambiance and experience. The interior is really pretty and overall I had a lovely dinner. Delilah overcharged us by 20% and doesn’t answer their phone when you try to get ahold of them to dispute the overcharge. Service was terrible and we felt pressured to rush through our meal by the waitstaff. Our waitress was awful. Wonderful setting nice staff excellent food! Love the ambiance. Food was mediocre. The scallops had a funny taste. I bragged about the burlesque dancers so we were disappointed that there were no dancers on Wednesday’s! But the live singer was pretty amazing. Good music, food and scene. Absolutely loved it! Food was amazing, staff were friendly and attentive. Beautiful decor. Will definitely be back! Horrible. We were kicked out after two hours. They took the plates from right under us and asked us to leave. They told us that they needed the table for someone else. It was nice. Great decor. Nice ambiance. Good service and good food. Will go back. Staff really wanted to rush us through our ordering and meal. Ambiance was great. Appetizers were 8/10 main was 6/10. The girls & I had an absolutely delightful time! On my way! Of my favorite Dinner places in LA! After a few too many of their espresso martinis and the mother of all hangovers my memory of this place is a little fuzzy. From what I do recall though, my group had an amazing night at Delilah and will return (which I hope isn't perceived as a threat!). One of the few genuine late night haunts with a cool, speakeasy vibe and live music. The food is just as good, if not better than sister venue The Nice Guy and our server showed patience beyond the call of duty. On a personal note, a big thank you to the manager who stayed on so my friend could retrieve my cell phone. Loved my experience. Hands down my favorite restaurant in LA! was turned away from the restaurant due to it being booked out for an event. i had no prior knowledge of this or why i was able to make a reservation at all if this the case for tonight. I really enjoyed myself and so did my friends. The food was extra delicious, can taste the crab cakes now. The only thing we didnt agree with was, no dancers came by our table to dance, and we was scooted out from our table . Was told a bigger party was coming, and we need to move from our table. We looked around and no other guest was asked to move and get ip from their table. So we did wonder why was we picked out, and warned to remove our self from the table. That wasnt a good welcoming feeling at all, and so happen right after the heavy bill was paid. We was never told it's a time limit on our seating. Had we knew, maybe we wouldn't of choosed to dine at this resturant or more so came prepared with wearing flats, to stand up at the bar. Other than that, i had a very happy birthday. And i would cone again soon, and be prepared. Sincereness,.. Tara L.
Bar service was deplorable. Our table server bought us 2 drinks each in the matter of 1.5 hours. Great food. More of a hype than anything else. Second time back. Lovely neighborhood spot that’s walking distance from my house. I definitely recommend the dishes and also the overall aura in general. Trendy, great service, great drinks! Delilah was so good. The ambiance was great. The staff was so nice, professional and truly worked as a team. We were celebrating my daughter’s birthday and they gave her a nice shot and tastey chocolate cake. The food was excellent. Please get the Brussels Sprouts. If I could change anything, I would make it a little warmer. Overall we had a lovely time and would definitely recommend others to go. The scene was good.... not for dinner. Music was good. Good vibe for a bar/lounge night out. Amazing experience and the best food. Definitely plan on going back. This visit was a bit of a departure in that we arrived on a Tuesday (very mellow), requested somm assistance with a bottle in the $120 price range (bottle presented was $200+), and, had some complications with dessert (custom cake was dropped). Nonetheless, dinner was on par with other Hollywood hotspots and Delilah’s management was able to make it right! Overall, our group of 8 had an excellent night! This is a truly special must-go place. No photos allowed and they are strict about it. 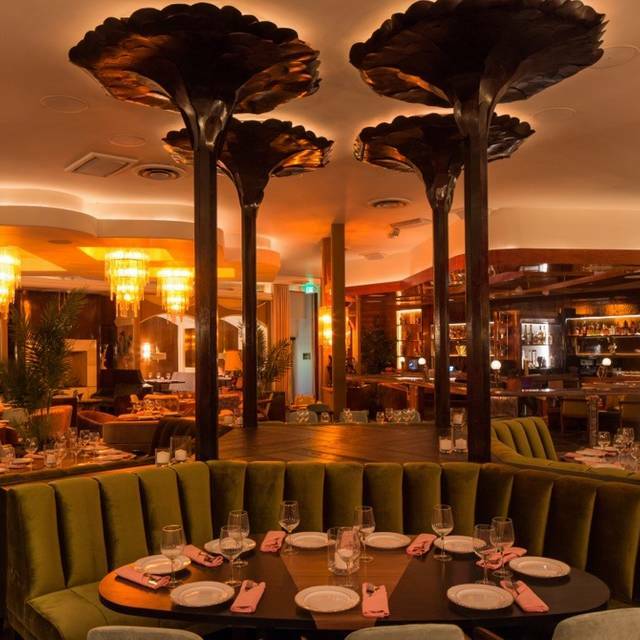 Definitely a chic Hollywood hot-spot with an impressive 20s theme. Don't bring your kids. This was by far one of the most amazing dining experiences I have ever had! The lighting alone creates such an alluring ambience!